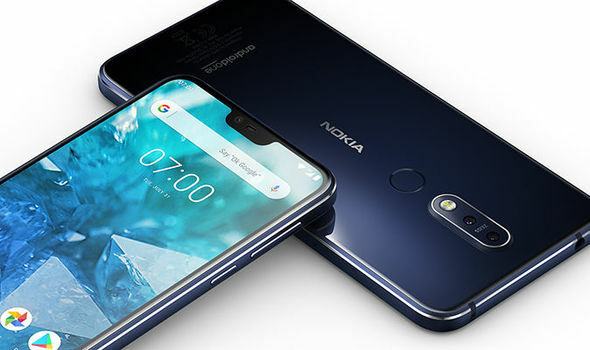 HMD Global has launched a new smartphone called Nokia 7.1 in the affordable premium segment at an event held in London, U.K. The smartphone that features PureDisplay screen technology, Zeiss-branded dual cameras and Android One OS, sports a dual-anodized Series 6000 aluminum frame with diamond cut edges. In terms of specification, the Nokia 7.1 houses a Qualcomm Snapdragon 636 coupled with 3GB of RAM and 32GB of internal storage, or 4GB RAM and 64GB of internal storage; a microSD card slot is also available (up to 400GB) to expand the internal memory. Both the variants feature a similar 5.84-inch Full HD+ “PureDisplay” with 19:9 screen aspect ratio with a notch on top and they are fully protected with Corning Gorilla Glass 3. The company claims that the PureDisplay’s internal HDR can convert SDR content into the HDR in real-time. This means the display supports HDR for better contrast and quality for an immersive viewing experience. In terms of other specifications, the smartphone has a dual camera setup of 12MP and 5MP sensors on the rear side – one has a 12-megapixel autofocus sensor with an aperture of f/1.8 while the other one has a 5-megapixel fixed-focus sensor with a f/2.4 aperture. The rear cameras come with ZEISS optics and support for EIS, HDR. The front has an 8MP selfie camera with f/2.0 AI-enhanced face unlock feature. There’s a rear-mounted fingerprint sensor for added security. Nokia 7.1 connectivity options include Dual 4G VoLTE, Wi-Fi 802.11 ac (2.4GHz + 5GHz), Bluetooth 5, GPS + GLONASS, Type-C 2.0, and NFC. The smartphone comes with a 3,060mAh battery and the fast charging support that can charge up to 50% of the battery within 30 minutes. On the inside, The Nokia 7.1 runs Android One and soon it will be updated to Android 9 Pie via an update in November. The device will also receive the major updates for two-years while monthly security updates will be provided for three years. Nokia 7.1 is available two color options — Gloss Midnight Blue and Gloss Steel that has a copper accent. Depending on the variant, it would cost anywhere between 299 to 349 Pounds in Europe as of now. However, the company said that it would bring the phone to other markets in the near future.